Like humans, horses are classified as monogastrics, however unlike humans, horses have a highly specialised and enlarged caecum and colon, collectively known as the ‘hindgut’. 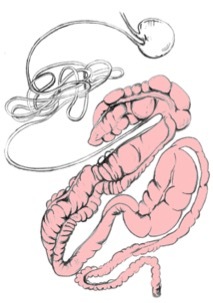 What role does the hindgut play in maintaining overall health? Fibre Digestion: horses don’t have the enzymes necessary to digest fibrous feeds like pasture and hay. 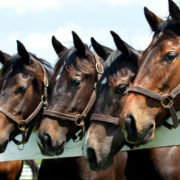 However, in their hindgut they house many trillions of bacteria that exist in a symbiotic relationship with the horse. The horse provides them with somewhere warm and moist to live that has a constant supply of fibrous ‘food’ which the bacteria digest via a process of fermentation. In return, the bacteria give the horse a majority of the energy contained in the fibrous feeds in the form of volatile fatty acids (VFAs), which the horse absorbs and burns as fuel for muscle and organs. Hydration: the hindgut and the fibrous material within it provide a reservoir of water for the horse which may be absorbed when needed to keep the horse hydrated. Electrolyte Balance: the hindgut and the fibrous feeds within it also serve as a resource of electrolytes that can be absorbed when needed. Vitamin Supply: the bacteria that ferment fibrous feeds also produce vitamins that may be absorbed and used by the horse, including B-group vitamins like thiamine (vitamin B1) and biotin as well as vitamin K.
Immune Function, Disease, and Behaviour: while we still understand very little about the full role of the bacteria who live in a horse’s hindgut, it is becoming increasingly clear in multiple animal species, including humans that the bacteria that live in the intestines play a huge role in control of immune function, the development of disease (like type 2 diabetes in humans) and also in production of hormones that can affect behaviour. What are the implications of an unhealthy hindgut? Colic: too little fibre, dehydration, the accumulation of dirt and sand or the fermentation of grain in the hindgut are just a few situations that may lead to serious cases of colic. Weight loss: an unhealthy hindgut that does not have access to ample forage or has unbalanced bacterial populations due to the fermentation of grain can lead to a reduced feed use efficiency and weight loss. Diarrhoea: a hindgut that is irritated by the accumulation of dirt and sand or parasites, rapid changing of diet ingredients, too little forage, oral antibiotics that disrupt hindgut bacterial populations or the excessive fermentation of grains can all lead to diarrhoea. Vitamin deficiency: the fermentation of grains or use of oral antibiotics can disturb bacterial populations in the hindgut which in turn leads to a reduced production of vitamins like the B-group vitamins and vitamin K.
Loss of appetite: allowing grains to be fermented in the hindgut can lead to the production of thiaminase, an enzyme that destroys the vitamin thiamine (B1). A thiamine deficiency can then lead to a loss of appetite. Altered behaviour: studies have shown that horses with acidic hindgut contents resulting from the fermentation of grain are more likely to exhibit abnormal behaviour. Altered behaviour may also arise if bacterial populations are disrupted which then changes production of hormones that affect behaviour. Compromised immune function and development of disease: again this is a poorly understood area of research in equines but gathering evidence in multiple animal species suggests that if we disrupt hindgut bacterial populations we are going to put our horses at increased risk of disease and compromised immune function. A healthy hindgut is almost completely dependent on feeding enough forage. Bulky forage is needed to keep the hindgut full to prevent it from physically collapsing on itself or twisting up in a severe case of colic. Healthy bacterial populations are also dependent on having lots of fibre available for fermentation. As a rule feed a minimum of 1.5 kg per every 100 kg of bodyweight in forage per day (1.5% of bodyweight, which equates to a minimum of 7.5 kg/day for a 500 kg horse). The more forage you can feed the better, so unless you have a good reason for limiting your horse’s forage intake, feed a completely forage diet, balanced for vitamins and minerals. Only use grains or grain based feeds when absolutely necessary. 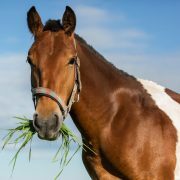 Note: If you are concerned about a weight disadvantage in racing and other performance horses due to large amounts of forage being carried in the gut, reduce the amount of forage being fed slightly in the days leading up to a race or event. Starch fermentation in the hindgut will disrupt bacterial populations, reducing the population of beneficial fibre fermenting bacteria and favouring the undesirable starch and sugar fermenting bacteria. If enough starch is fermented, VFAs and lactic acid will build up, creating hindgut acidosis which can then lead to serious issues like laminitis, endotoxemia and damage to the hindgut wall (hindgut ulcers). So if you feed grains or grain based feeds, always use a cooked product (ie steam flaked, micronized, extruded or boiled) as uncooked grains, with the exception of oats, are poorly digested in the horse’s small intestine and will almost certainly end up being fermented in the hindgut. Oats may be fed uncooked but feed them only in small amounts per meal. Some forages like oat, wheat or barley forage and ryegrass can contain large amounts of the carbohydrate fructan. Fructan is not digested in the small intestine, but it is readily fermented by the bacteria in the hindgut and, like grain starch, may cause a shift in bacterial populations away from the beneficial fibre fermenting bacteria. When feeding grains, never exceed 0.5 kg per 100 kg of bodyweight (0.5% bodyweight) in any one meal, keeping mind this is the maximum. The smaller you can keep meal size the better. 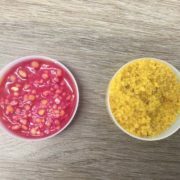 Feeding grains in larger meals will make the feed travel quickly through the small intestine and will push undigested grains into the hindgut where their starch will be rapidly fermented. Water intake is crucial for maintaining a healthy hindgut. Dehydration will result in the hindgut contents drying out too much and can lead to problems like impaction colic. If you live in a cold climate offering your horses warmed water may help to increase their water intake. If you suspect your horse is not drinking enough water, try adding molasses or other flavourings your horse might like to the water. 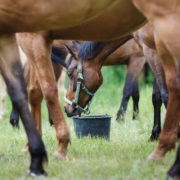 Make sure horses feel safe around their watering point and ensure that they always have access to water and a salt lick. 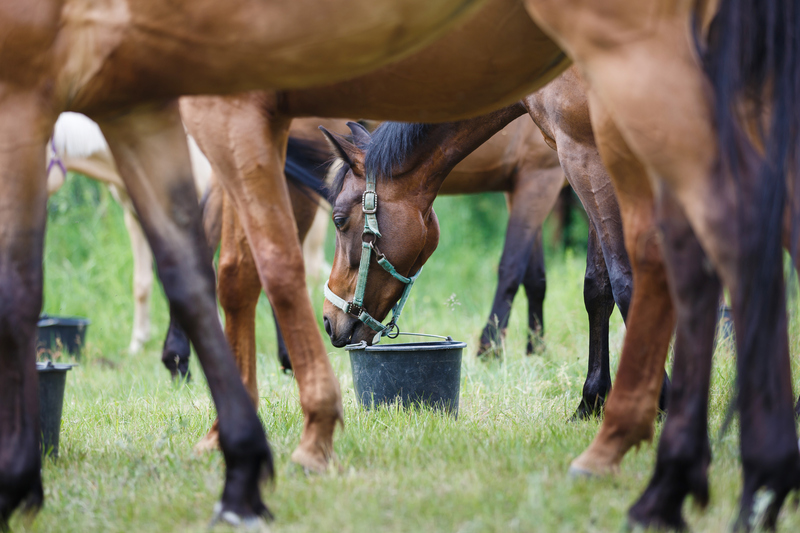 If you are really struggling to get your horse to drink enough, consider adding some salt or an electrolyte supplement to their feed to stimulate thirst. If however your horse stops eating its feed, reduce the amount of salt or electrolyte you are giving until you find the amount your horse will eat happily each day. If your horse is grazing in dry/drought conditions or is housed in a dry lot or sand yard you should feed psyllium husk on a regular basis to remove sand and dirt from the hindgut to prevent it accumulating to the point where it will cause problems. Feeding 50 grams of psyllium husk per 100 kg bodyweight for 5 days in every one month will help to remove any sand or dirt that may have accumulated in the hindgut. It is particularly important to do this if you horse is receiving restricted amounts of pasture or hay each day. Sudden changes in feed can upset the balance of bacteria in the hindgut or can lead to diarrhoea or colic. Making dietary changes slowly over a period of 7 to 14 days (taking longer for the more dramatic changes – i.e. if you were changing from Timothy hay to a blend of timothy and alfalfa/lucerne hay you could do this over 7 days. If however you were changing to a diet that included grains you should introduce the grains slowly over 14 days or longer depending on how well the horse adapts to the new diet) will help to reduce or eliminate any negative impact of a new diet. Where possible try to use injectable antibiotics. If your horse does have to be on oral antibiotics, feed as much forage as possible during and following the treatment to maintain an environment in the hindgut that favours the more beneficial fibre fermenting bacteria. Note: Most ‘probiotics’ have limited usefulness when it comes to repopulating a horse’s hindgut following antibiotic treatment. Many probiotics contain Lactobacillus spp bacteria which are useful for outcompeting pathogenic bacteria, but are not really what you want your horse’s hindgut populated with. If you feel it is necessary, discuss the option of nasogastric tubing your horse with a warm slurry made with water and the manure from a healthy horse with your veterinarian. When you are feeding, always think about the hindgut! When you are making feed choices for your horse you should always be thinking about how what you are feeding will impact the hindgut. The 8 tips listed above will keep your horse’s hindgut healthy so it can continue to provide your horse with a good supply of energy and beneficial vitamins. In addition, immune function will be maintained and the risk of problems like colic, loss of appetite, diarrhoea and abnormal behaviour will be reduced. The hindgut is so critically important to your horse’s overall health! It is so incredibly important that you look after it! 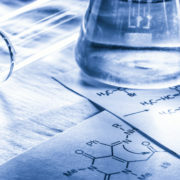 This newsletter by Dr. Nerida Richards was originally posted to the FeedXL user forums for FeedXL subscribers in June, 2010. If you would like to be among the first to receive our newsletters then please consider becoming a FeedXL member or subscribing to our email list. Curious about feeding haylage and how it affects the gut. It’s already partially fermented so would include some probiotics. Then there is issues with hindgut ulcers and the ramifications of the damage. It’s such a delicate environment and when the balance isn’t right they can get so sick ? I was reading an article by Kivett (2013), which claimed that the research into the use of psyllium for removing sand from horse’s gut shows no significant effect against a control. Kivett claims that overall best means of clearing sand and preventing sand colic is to feed hay. I would be interested in your take on this. My soil is extremely sandy, having the consistency of coarse builder’s sand and, following Kivett’s advice, none of our quarter horses or miniatures have ever suffered sand related problems; though we all know how much anecdotal evidence is worth. There are probably more but I will leave it there for now. I have personally had two of my three horses with watery diarrhea and within 3 days of treatment with psyllium it resolves almost completely. In both cases the horses had been eating on sandy/bare ground for extended periods of time. I have also suggested psyllium to many horse owners over the years with a lot of success. One little guy I remember clearly was a pony who had lived in a sand arena all his life. He was bloated and constantly colicky. Poor little guy was full of sand and eventually the psyllium shifted it for him.